Ex-Googlers at Nuro create a self-driving car to deliver groceries. Two former Google engineers have built a car that's personalized for delivering your groceries, pizza or dry-cleaning. 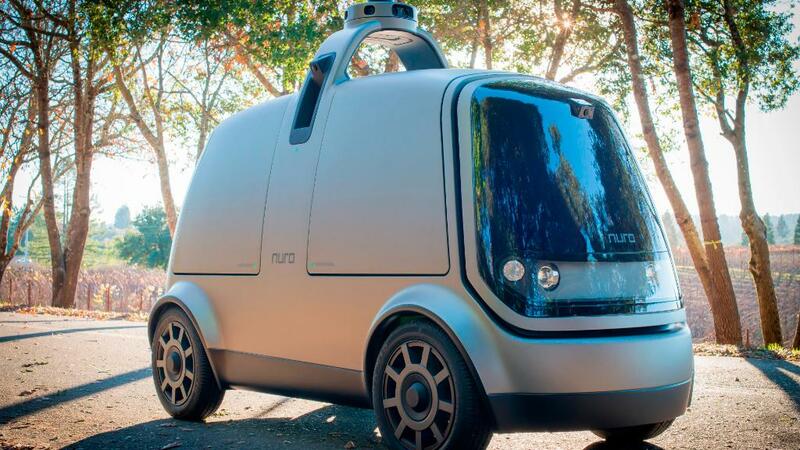 Nuro, a Mountain View, California, based startup, unveiled an autonomous vehicle Tuesday designed for making local commerce deliveries. The company plans to have several of the vehicles making deliveries on public roads by the end of the year. It's also developing another version of the vehicle that's suitable for mass production. The current prototype vehicle is about the height of an SUV but far narrower than a typical car. The electric car features two exterior compartments -- two on each side -- to hold separate deliveries. Each compartment can be tailored to a specific use, such as cooking a pizza or refrigerating a package. The company has not yet announced partners who intend to use the service. The vehicle weighs about a third of a standard car, and is built for urban and suburban environments. The company doesn't envision it driving on highways. The co-founders were early members of Google's self-driving car program and left in mid-2016 to start Nuro. "We can use self-driving technology to deliver anything, anytime, anywhere for basically all local goods and services," Nuro co-founder Dave Ferguson told CNN Tech. "Consumers used to be okay with two-week paid shipping. It became two-week free delivery, followed by one week, two days, and the same day. 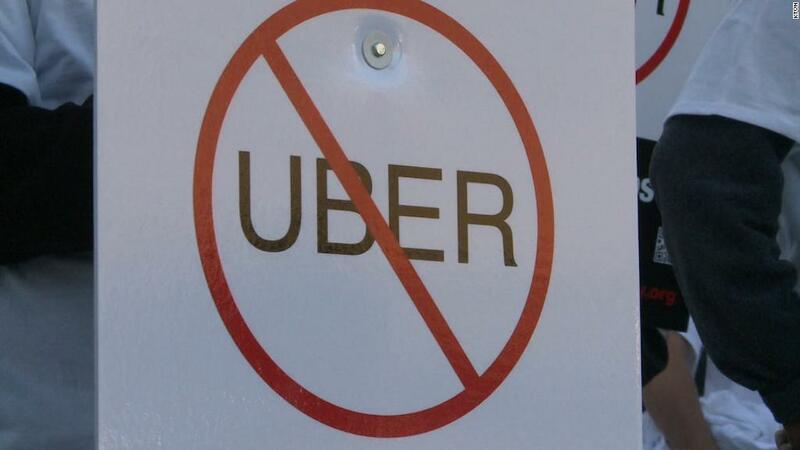 Now, same-day delivery isn't fast enough for some customers." Nuro isn't alone in building robots for local commerce deliveries. Earlier this month, Toyota unveiled a concept vehicle at the Consumer Electronics Show in Las Vegas that could be used for package delivery, a mobile storefront or as a ride-sharing service. A handful of startups -- including Starship Technologies, Marble and Dispatch -- are testing small robots for deliveries on sidewalks. Nuro's vehicle will likely face legal hurdles. Fully autonomous vehicles without a test driver aren't legal in California today, and many companies have shifted testing to states where regulators are more welcoming of autonomous vehicles, such as Arizona. Nuro expects to face fewer challenges because it doesn't carry passengers. Nuro's narrow size may also be helpful when navigating streets and avoiding pedestrians. It could even sacrifice itself to protect a pedestrian by crashing into a parked car or tree, according to Ferguson. The vehicle isn't equipped with any special features to communicate with pedestrians or other road users. Some companies have tested and patented solutions such as digital screens that signal the car's next move. Ferguson said his team conducted studies and found that such techniques could confuse people. Nuro believes it's better to make sure the car performs predictably, so that human drivers know what to expect from it. Although a common concern with automation is the replacement of jobs, Ferguson said he doesn't believe Nuro's role will have a negative impact on employment. "We feel by creating this new technology that's going to enable this last mile delivery, we're going to be creating new markets and doing things that previously weren't possible," Ferguson said. "This is not swapping out jobs with robots. It's creating new markets. There will definitely be new employment opportunities."